Beaufort's historic and altogether picturesque downtown is one of the most visited and most acclaimed town centers in the Inner Banks. 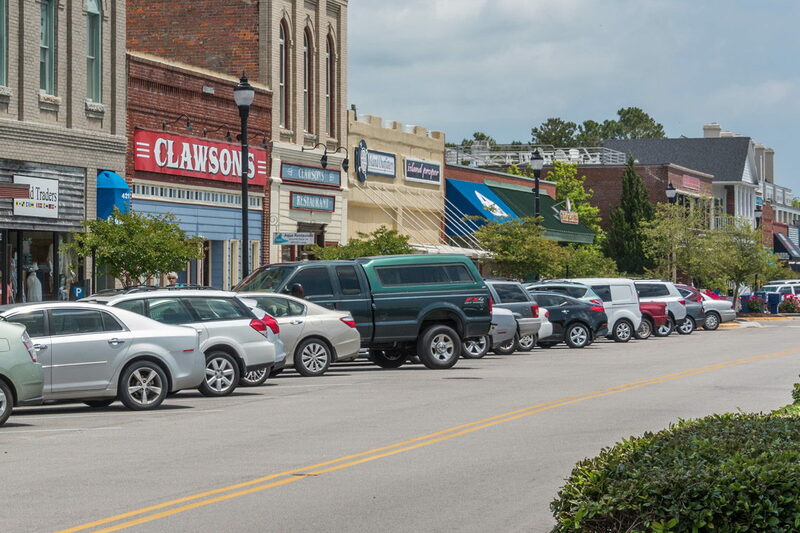 Filled with a history that intermingles seamlessly with acclaimed shops and restaurants, (as well as front row views of the activity at the expansive harbor front docks), this otherwise typical Eastern North Carolina town has become a favorite among Inner Banks visitors. Along the side streets, visitors will find countless testaments to local legends history. There are dozens of restored historic homes, all noted with a plaque granted by the Beaufort Historical Association, in addition to shops, restaurants, galleries, and unique community treasures. Any Beaufort visitor will want to take an hour or so to explore the North Carolina Maritime Museum, located along Front Street. This Beaufort institution, located in an unimposing cedar-shaked two story structure with local flags flying high, is a highlight of the downtown scene and features a world of ever-present and seasonally changing exhibits. Inside, visitors can find relics excavated from the Queen Anne's Revenge, Blackbeard the pirate's original ship, which was uncovered in Beaufort Inlet in 1996 after spending nearly three centuries underwater. There are also displays dedicated to the seafood industry, a driving force to Beaufort's long-term success, and the skeletal remains of "echo," a sperm whale which washed on the banks of the barrier island beach in 2004. An exhibit heralding the heroic rescue efforts of the original local 1848 U.S. Life Saving Service is also on display, in addition to a fantastic shell collection that features rare and exotic seashells from all over the world. The museum is open Monday through Friday, 9:00 a.m. until 5:00 p.m., Saturday 10:00 a.m. until 5:00 p.m., and Sunday from 1:00 p.m. until 5:00 p.m. Special programs and classes are seasonally available, and feature everything from historic talks and lectures to boatbuilding workshops, and the museum is open year round. A must stop for anyone who adores coastal culture, the ship-worthy North Carolina Maritime Museum is a fascinating downtown attraction. The downtown region also features a world of shopping and dining opportunities for passing visitors. Exploring on foot, visitors will find dozens of shops and eateries both along the waterfront and the outlaying downtown streets that veer slightly uphill, in addition to a dozen or two historic residences. Maritime supply shopping is especially popular in this district, and passing travelers via sailboat, yacht, or other seaworthy vessel will find countless avenues to replenish or upgrade their supplies. 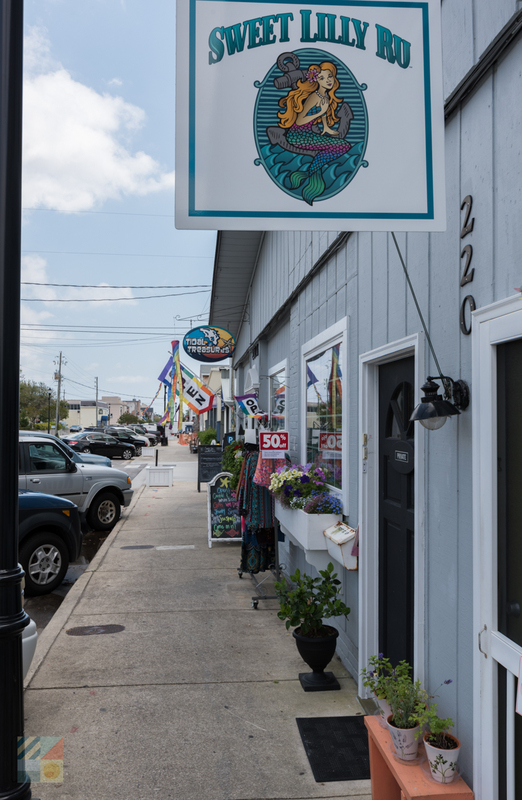 From cold-weather sweaters and rain gear to the state-of-the-art navigational systems, the downtown is home to a half dozen marine stores with the sole goal of enabling passing mariners to continue their journey along the Intracoastal Waterway or offshore sounds. The galleries along the downtown region are also second-to-none among this region of the Inner Banks, featuring local and regional artworks in all mediums. 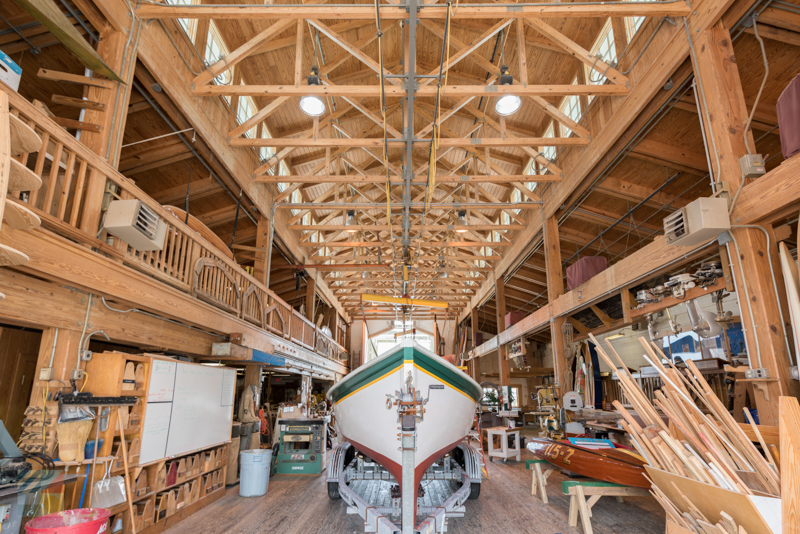 Glass, pottery, acrylics and oils, watercolors, and woodworking can all be found within these establishments, and virtually every work has a coastal theme. As such, these galleries are and ideal stop for any collector with a flair for the water, or an everyday visitor who wants to add a little coastal charm to their home decor. There are also several souvenir shops, including a converted original general store which dishes out fresh ice cream and local treasures to suit all budgets, and a number of restaurants, coffee houses, and delis. 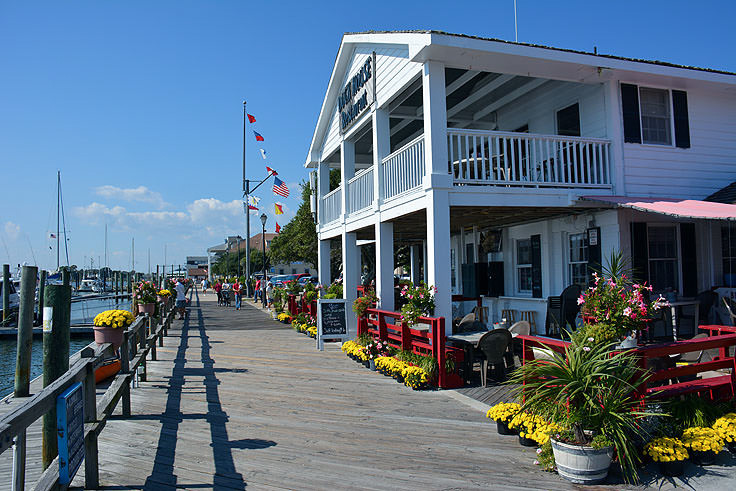 Hidden among the historic buildings, these eateries are some of Beaufort's best, and take advantage of both the seasonal local produce and fresh seafood to create casual or upscale dishes that will have every visitor's mouth watering. From fried green tomato BLTs to fresh blue crab omelets, vacationers can rest assured that the downtown restaurants will certainly accommodate any palate. The best way to navigate the downtown terrain is by foot, and visitors will find multiple parking areas along Front Street, especially on the ends of the waterfront district, just past the line of shops. Street parking is also available in certain areas, and visitors should dedicate a full morning or afternoon to explore the scene. There are also several Bed and Breakfasts located within the downtown, including the Langdon House B&B, the Ann Street Inn and the Old Seaport Inn, ensuring visitors who want to spend the majority of their vacation time in the heart of Beaufort have centrally located accommodations. 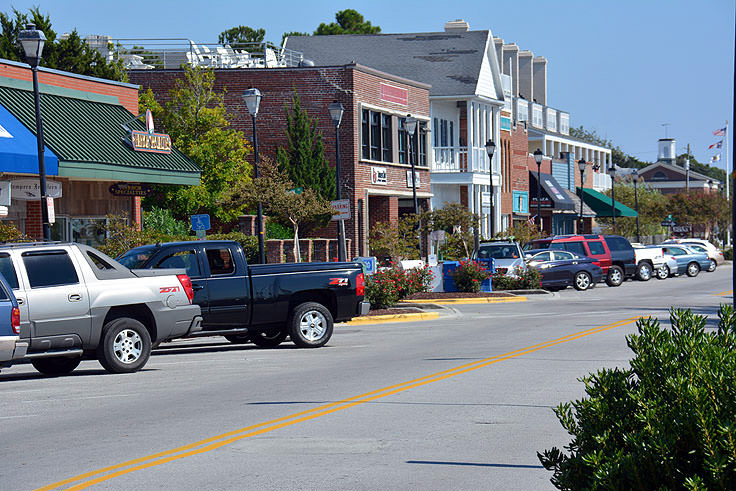 "Relaxing," "fascinating," and "nautical" are all perfect words to describe the downtown of Beaufort, a relatively small section of the nearly 3 square mile town that garners the majority of its visitors. 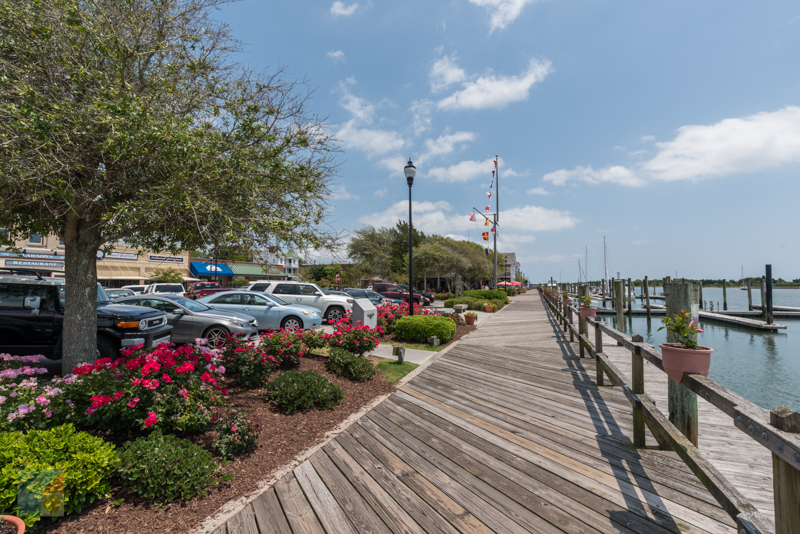 A scenic walking destination, with a bevy of maritime shops, galleries and restaurants, Downtown Beaufort is a prime example of the Inner Banks at its very best.